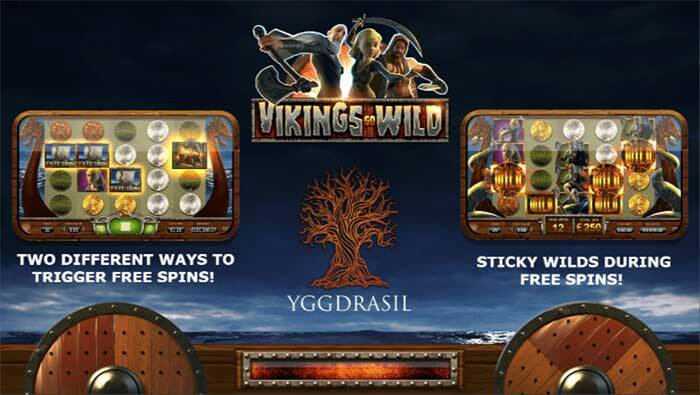 Vikings Go Wild is a new slots casino game form the team at Yggdrasil Gaming. The word “Viking” originates from an old English translation for ‘pirate’. The Vikings were perhaps best known for their ‘raiding and trading’ in Northern and West Europe which started as early as the 8th century. The raids would consist of crafting wooden long boats and sailing across the ocean for several weeks before finding new and existing lands. The Vikings believed in several Gods and before partaking on their long voyages, they would often offer sacrifices to their God of the Ocean ‘Aegir’ in hope of safe passage. Upon finding land the Vikings would invade villages and towns collecting plunder, loot and treasures. 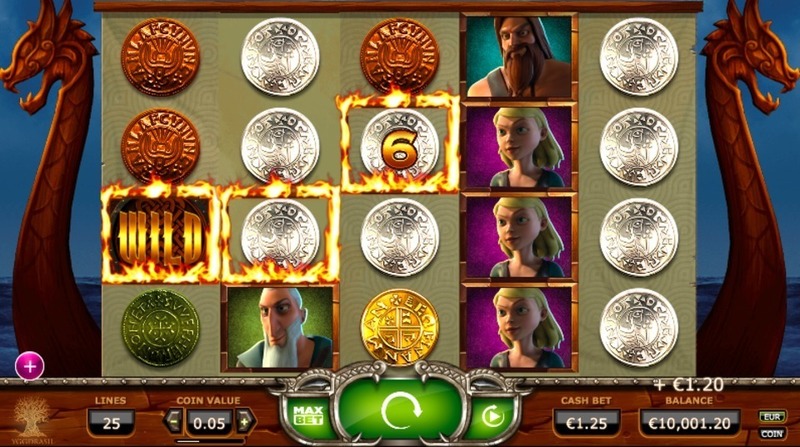 This is exactly what we have tried to encapsulate in our exciting new five-row online slots game as we invade our computer, tablet and mobile screens with “Vikings go Wild”. This awesome new online casino game will take you on a voyage across the seven seas in the quest for ancient Viking Gold and treasure alike. With slot bonus features such as free spins, wilds, sticky wilds and of course hidden bonus treasure chests; aiding you in your quest for your greatest plunder yet! see more games in easyslots.com. Join and play today! · A seasick symbol, should you become seasick during your invasion look to jump ship and collect the ship symbols. The more ship symbols you collect the more free spins you will acquire. For every three ships, you collect you will acquire eight free spins and the free spins will increase in multiples of eight as you collect another ship symbol. · Treasure chest symbol. Make a note to keep an eye on reel five, as this reel contains the treasure chest which upon finding it can entitle you up to twelve free spins or up to one thousand credits instantly. 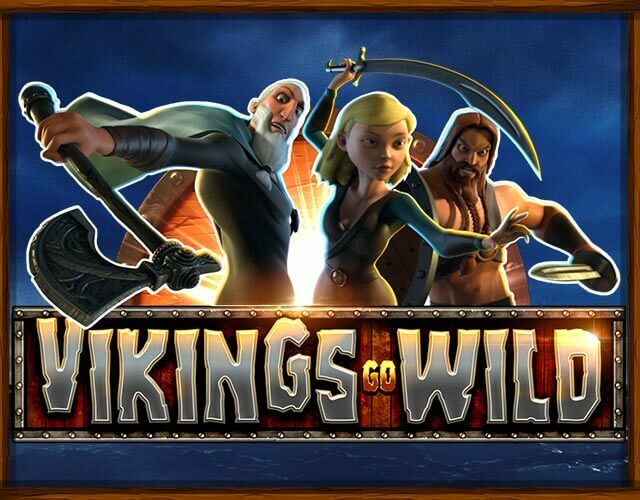 “Vikings Go Wild” is one of the most iconic online slots game currently developed. It encapsulates Scandinavian heritage and history into a fast flowing five-row slots game. The game is perfect for any history lovers, casino slot fans or simply anyone looking for fun. We love the games here at Easy Slots game and think you will too. Play today at Easyslots.com to get free slots with free spins!